Term 4 FASTTRACK numbers increased up 4X as the more dedicated student has realised their is reward for effort. 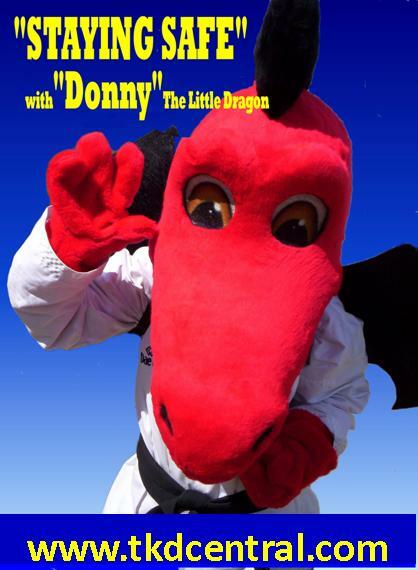 From Yellow Dragon up to probationary Blackbelt. from ages 4 to 40’s. 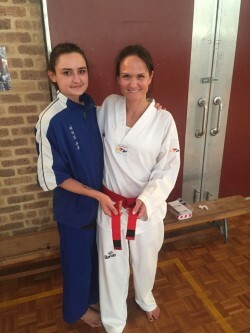 Melanie Buhlman gets “Striped Up” by Taekwondo Central Head Instructor Ajana Plunkett. We would like to congratulate Australind Family Class, Melanie Buhlman. 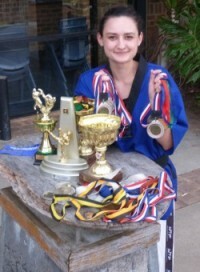 Mel has attained her probationary level black belt at the FASTTRACK grading and at a high level also. Mels level is such a great example of what can be attained if you commit, push yourself, and don’t sit where 90% of the population sit watching life go by. Thank you for the kind comment Kelly, I am looking forward to watching your belt getting “striped up” with black tape very soon too! Cho Dan Bo level would not have been achievable for me without the encouragement of my unbelievable team Gary, Rebecca and Eric, without the solid support of my family & taekwondo-friends or without the unparalleled inspiration provided by the TKD Central instructors. Thank you all!